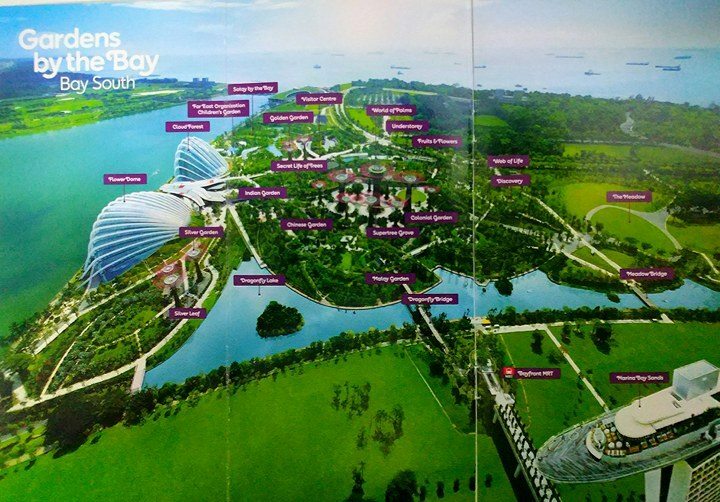 Gardens by the Bay is a project initiated by the National Parks Board of Singapore with the goal of transforming the city from being a simple “Garden City” into an actual city within a garden. 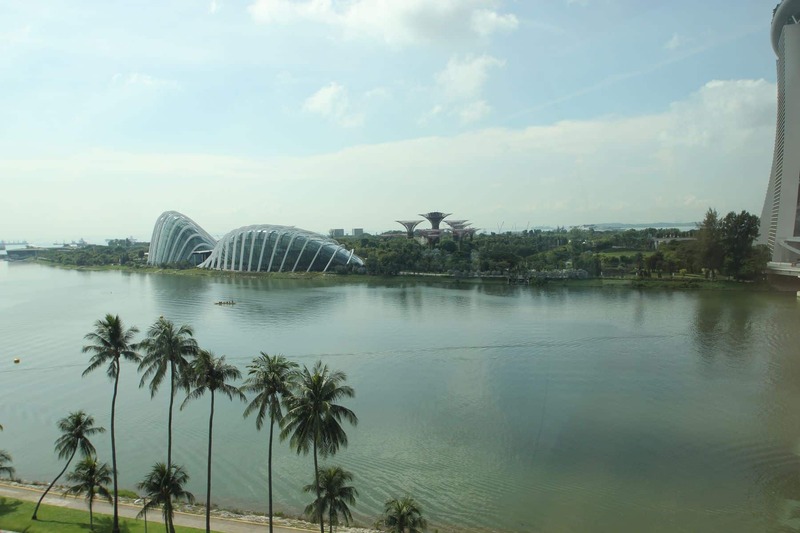 Gardens by the Bay, alongside other recent installations in the property, now comprise Singapore’s new downtown area. 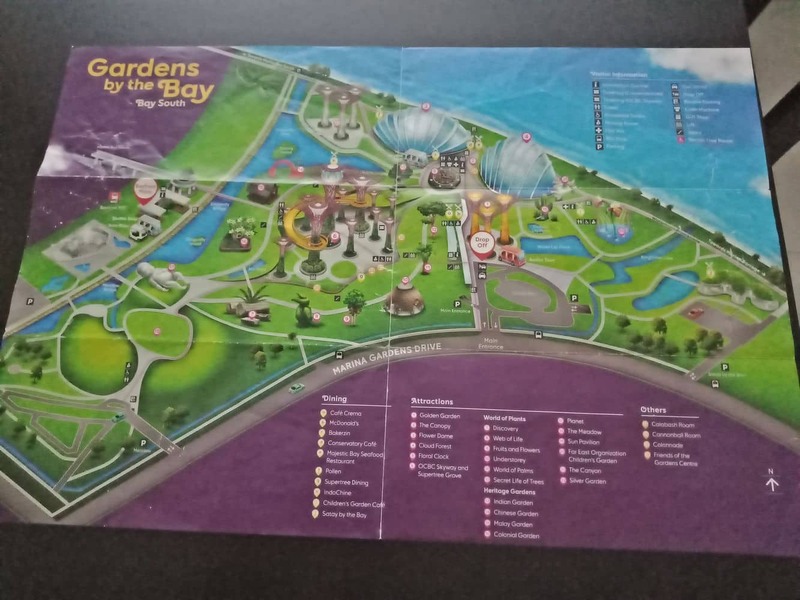 It consists of a large open garden which is free to walk through and other paid attractions including the “Cloud Forest” and the “Flower Dome“. 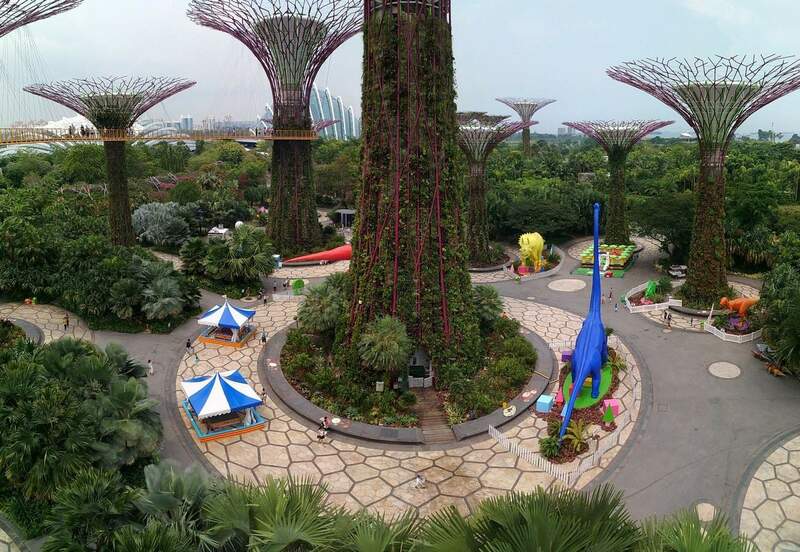 Gardens by the Bay is most recognised for its Giant Super Trees, which are 12 ‘enhanced’ trees composed of actual living plants made superior through a steel base. Although the grounds in the gardens are free to enter, you must pay to walk along the “Skyway” high amongst the Supertrees. Enter the park from the Dragonfly Bridge, which is the perfect spot to get some photographs of the large Supertrees, the Singapore Flyer and Marina Bay Sands. The Giant Super Trees are erected in the Super Tree Grove, each with a height between 25 and 50 meters. The Super Trees have large shade canopies, complete with their own lighting and sounds systems, allowing visitors to enjoy their tour any time of the day. 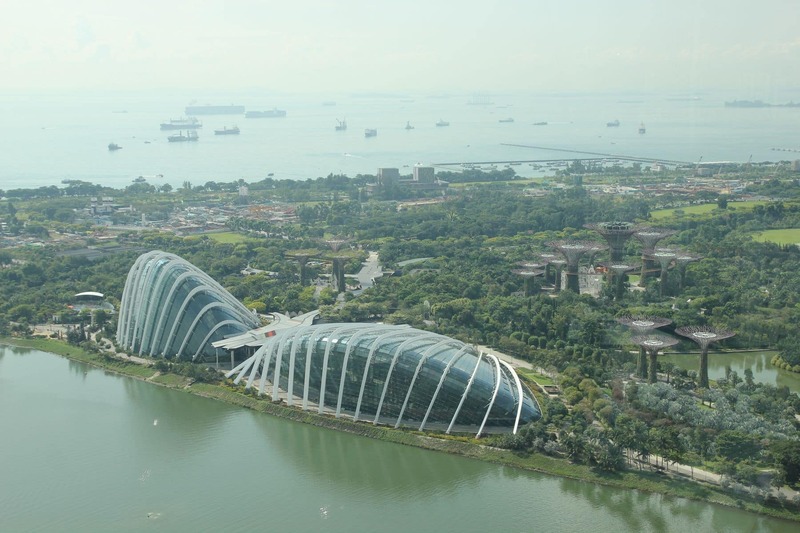 Giving great views of Marina Bay and its surrounds, the Skyway is definitely worth a visit. At night, the Supertrees come to life with a light and sound show at 7.45pm and 8.45pm every night. 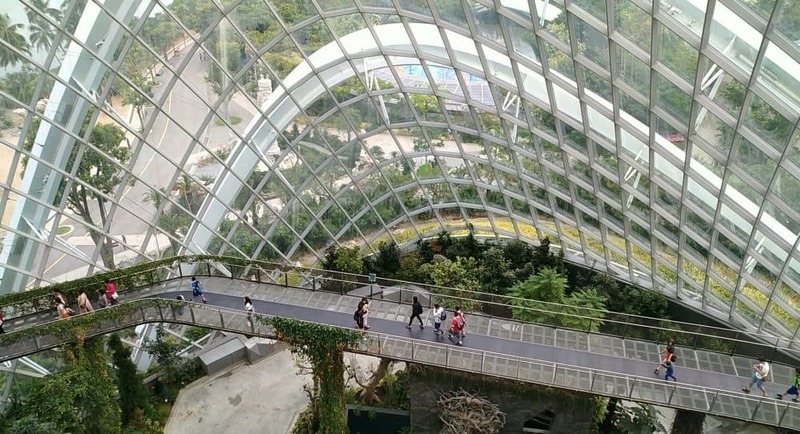 Amongst the popular attractions in the Garden are the two uniquely shaped dome conservatories called the “Flower Dome” and the “Cloud Forest”, which gives visitors a different kind of “forest” experience. Both large domes are delightfully air-conditioned providing a much-needed break from the Singapore heat. The Cloud Forest welcomes you with a large waterfall and visitors are invited to walk through the forest and high up on the walkways for beautiful views. The Flower Dome is a unique experience as visitors will be able to see and enjoy thousands of plants from all over the world. Separated into “worlds”, you can view amazing plants from Australia, flowers from Japan, cactus from South America and Baobab Trees from Africa. Catch the MRT to the Gardens via the Circle or Downtown Line. Alight at Bayfront MRT Station (CE1/DT16). Take Exit B and follow the underground linkway. Exit and cross the Dragonfly Bridge or Meadow Bridge into Gardens by the Bay. How much is the admission ticket if we just visit flower dome? 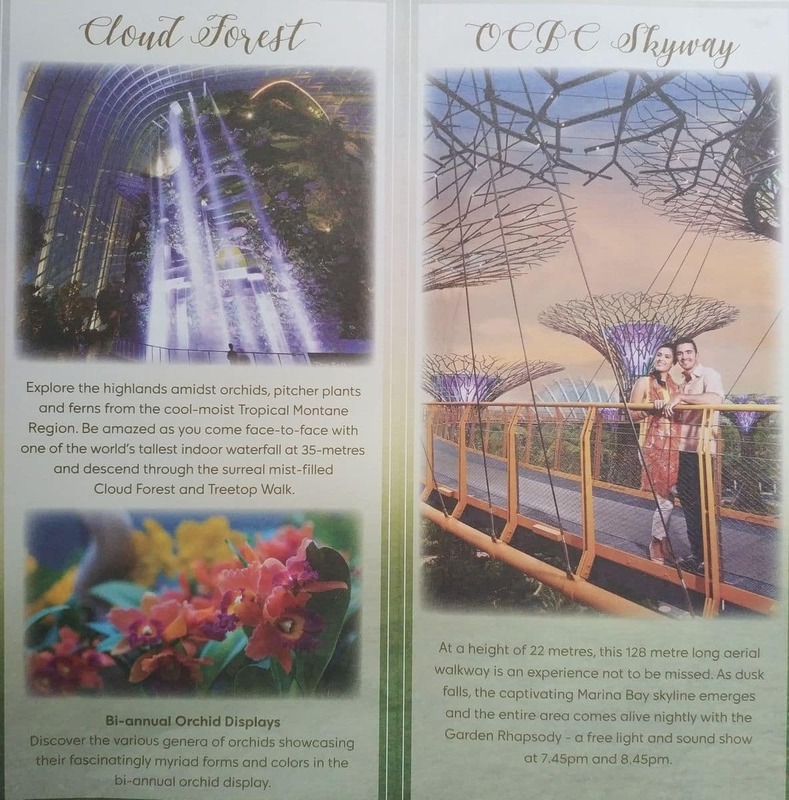 I want to know if we do not visit flower domes (forest & cloud) but wants to visit only skyride at the time of light show at Gardens by the Bay.. Is it possible..? If yes, then how much the ticket price? Yes, you can just visit the Supertree Grove for just the light show. If you just want to view from the ground, admission is free. 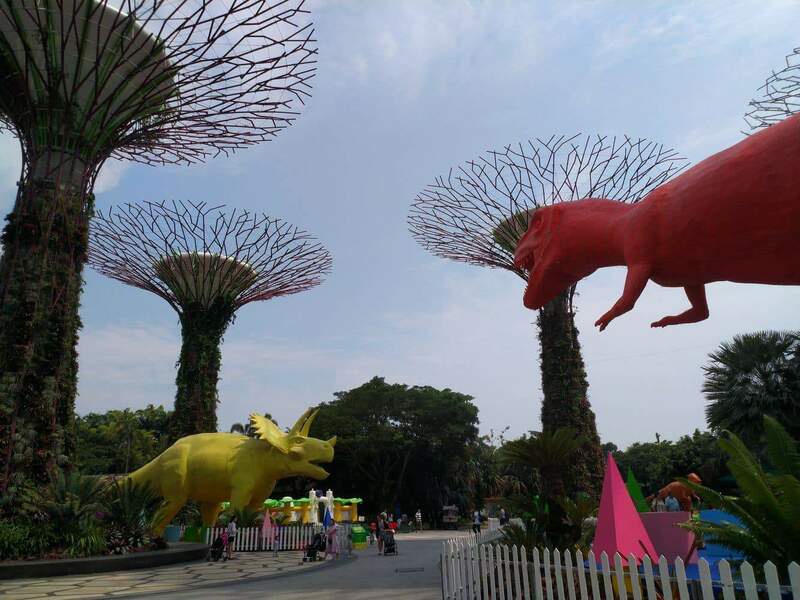 If you want to walk along the walkways in the Supertree Grove, then tickets cost $8 for Adults and $5 for Children. 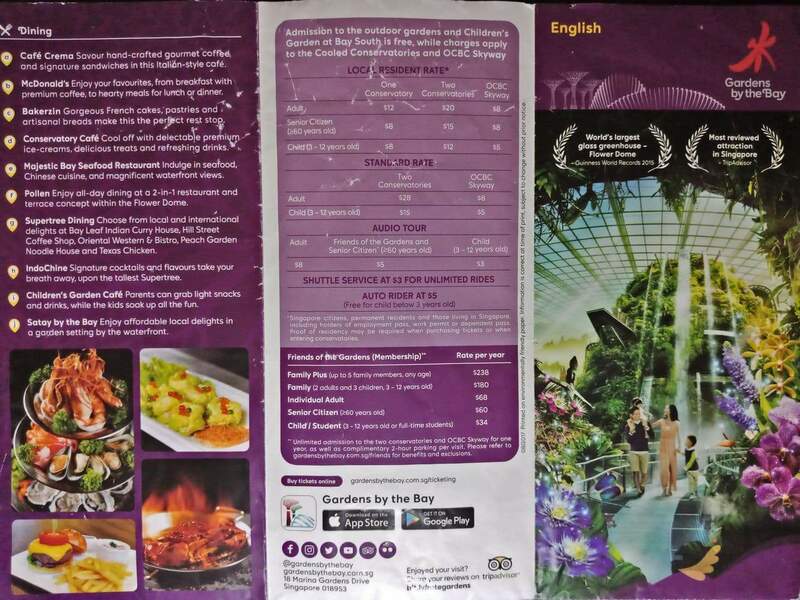 If you did decide to purchase the Gardens by the Bay package, including Cloud Dome and Flower Dome, you can purchase discounted tickets here. 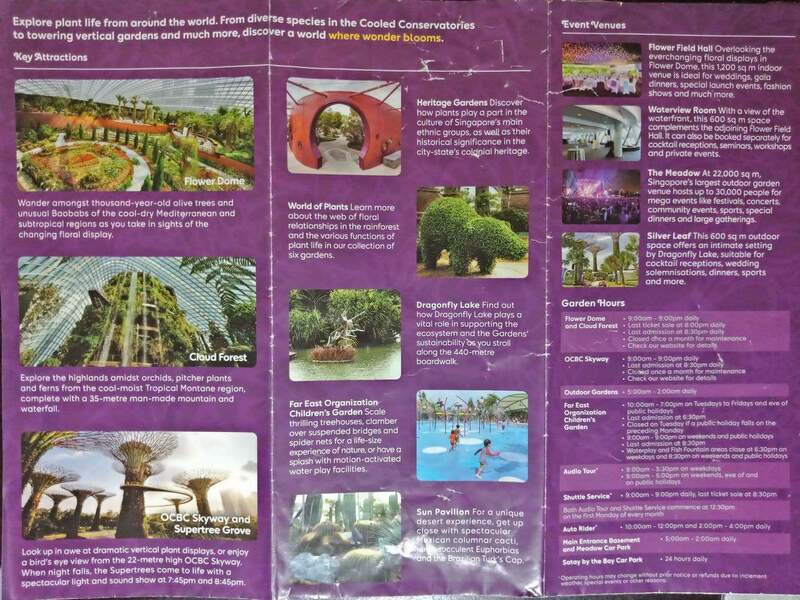 Have a great time at Gardens by the Bay!